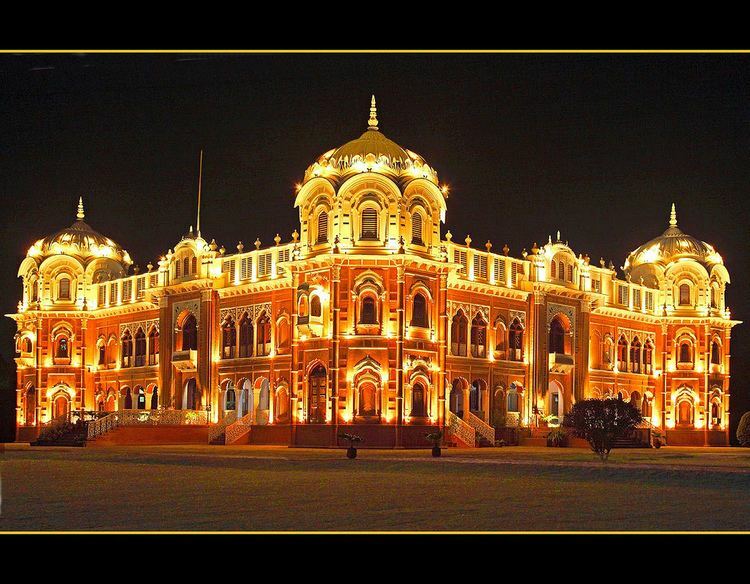 Bahawalpur (Punjabi, Urdu: بہاولپور‎), is a city located in the Punjab province of Pakistan. 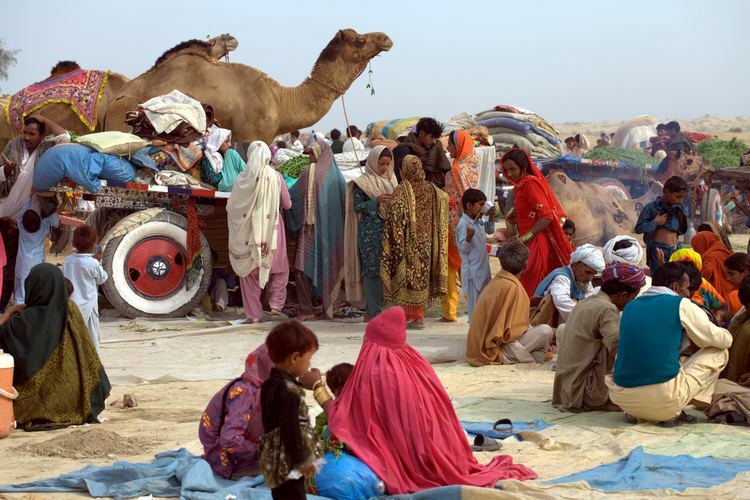 Bahawalpur is the 12th largest city in Pakistan with an estimated population of 798,509. The city also lies near the ancient Derawar Fort in the Cholistan Desert near the border with India, and serves as the gateway to Pakistan's Lal Suhanra National Park. Bahawalpur was once the capital of the former princely state of Bahawalpur ruled by Nawabs. The Nawabs of Bahawalpur were regarded as part of the Rajputana States, the majority of which now form the bulk of the neighbouring Indian state of Rajasthan. The city and princely state acceded to Pakistan on 7 October 1947 when Nawab Sadiq Muhammad Khan Abbasi V Bahadur joined Pakistan at the time of the independence of Pakistan in 1947. Following independence, the city's minority Hindu and Sikh communities largely migrated to India en masse, while Muslim refugees from India settled in the city and surrounding region. In 2007, the city's population was estimated to have risen to 798,509 from 403,408 in 1998. No census has been conducted in Pakistan since 1998, although one will be completed in 2017. Bahawalpur was announced as one of six cities in Punjab whose security would be improved by the Punjab Safe Cities Authority. 5.6 billion Rupees have been allocated for the project, which will be modeled along the lines of the Lahore Safe City project in which 8,000 CCTV cameras were installed throughout the city at a cost of 12 billion rupees to record and send images to Integrated Command and Control Centres. Deobandi Islamism was established in the Bahawalpur area during colonial times in an effort to counter the strong Sufi influence in the area. 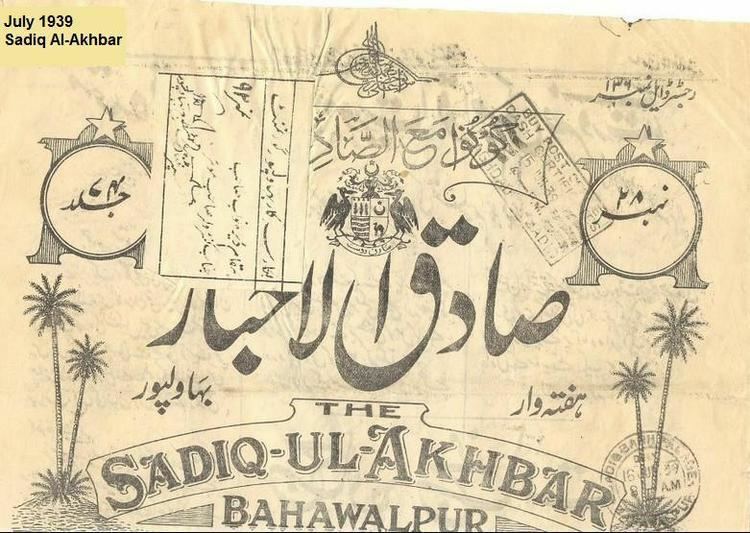 After Partition, a number of Deobandi institutions from Jalandhar and Ludhiana areas relocated to Pakistani Punjab, including to the cities of Multan and Bahawalpur. In recent years, there have been a growing number of Deobandi institutions, from which jihadis recruit a considerable number of militants to fight in Afghanistan and Kashmir. There are 500 to 1000 madrassas in Bahawalpur belonging to Deobandi and Ahl-e-Hadith orientations, many of which teach a violent version of Islam to children. Maulana Masood Azhar, founder of Jaish-e-Mohammad, was born in Bahawalpur in 1968. He established a 4.5 acre walled complex outside the city that serves as a headquarters for JeM.